Help! Threatening phone calls and UCR emails . . .
Q. We’re getting swamped with threatening phone calls and emails . . . If we’re strictly ‘intrastate,’ do we have to sign up for UCR? Unified Carrier Registration or “UCR” http://www.ucr.in.gov/ is required by the federal UCR Agreement. If you operate a truck or bus (as a motor carrier or “private motor carrier”) in interstate (or international) commerce you need to register and pay an annual fee based on the number of your “interstate” vehicles (power units). Companies operating in interstate (or international) commerce solely as brokers, freight forwarders or leasing companies are required to register and pay the minimum flat fee. What types of vehicles in interstate operations require UCR Registration? 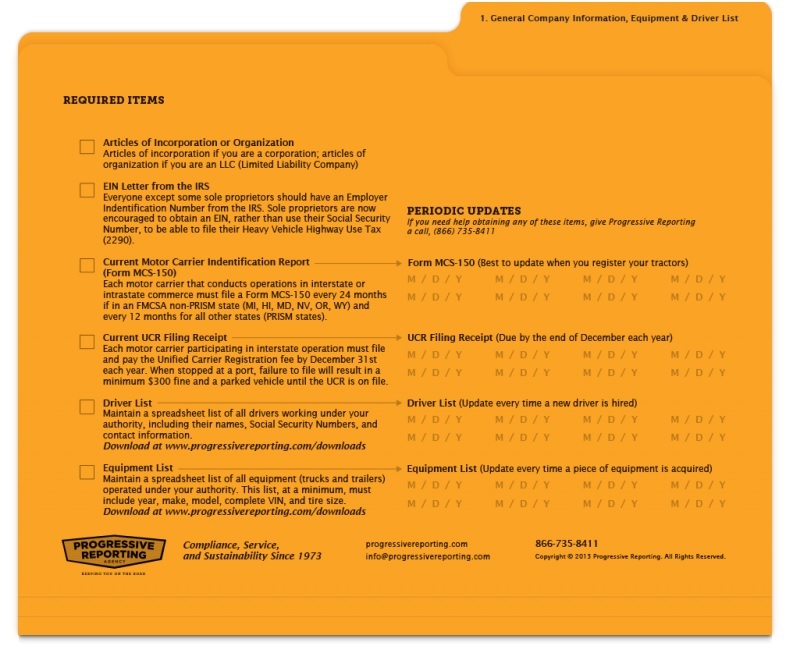 The UCR fees are based on the number of commercial motor vehicles you reported on your last MCS-150 form (for US DOT Number registration) or the total number of commercial motor vehicles owned and operated for the 12-month period ending June 30 of the year immediately prior to the year for which the UCR registration is made. This includes owned and leased vehicles (with a term of lease for more than 30 days). The UCR applies to all states in the continental United States and the provinces of Canada (if a Canadian carrier travels in any of the lower 48 states, then UCR is required). Roadside enforcement of UCR requirements starts Jan. 1 each calendar year. Renewals commence during the last quarter of the calender year. Registrations expire on Dec. 31 of the registration year. Register online for UCR at http://www.ucr.in.gov/ . This is a federal website (down from Nov 10th Midnight till Nov 11th 3:00 PM, 2012). If your state is part of the “Agreement,” it may send out a registration form to register by mail. What are the 2013 UCR fees? Brokers, freight forwarders or leasing companies are required to pay a fee of $76. Do I need to register through a “Service Bureau” or permitting agent? A third-party Service Bureau or permitting agent is not required for your UCR registration. 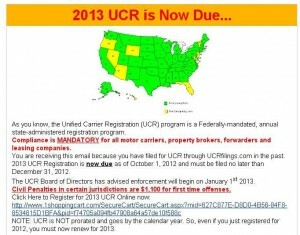 You may register directly with the UCR at the UCR website http://www.ucr.in.gov/ It may take several months, however, from the time of registration for the UCR system to be processed, so like any government agency interaction, to avoid later fines, be sure to keep good records. Online payment must be made by either credit card or e-check. Log in and follow the step-by-step instructions. There is a $3.00 transaction fee charged for each filing. Additionally, if paying by credit card (Visa or Mastercard), you will need to pay either a 2.5 percent processing fee, or if paying by e-check, a $1.00 transaction fee.